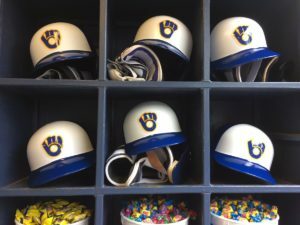 Travis Shaw drew a bases-loaded walk in the 10th inning to give the Milwaukee Brewers a walk-off 4-3 win over the New York Mets at Miller Park in Milwaukee on Friday night. Shaw also homered and added an RBI single. Junior Guerra tossed six innings of two-run ball but received a no-decision after Corey Knebel blew a ninth inning save. Jeremy Jeffress got the win for pitching the 10th inning, improving to 4-0 with a 0.33 ERA. The Brewers improved to a National League Central Division leading 32-20. Jose Bautista tied the game for the Mets in the ninth with an RBI single. Michael Conforto and Amed Rosario homered, while Robert Gsellman took the loss. The Mets have now dropped three of their last four. Chase Anderson pitches game three of the series for the Brewers at Miller Park today.